Imagine Alphie in a green jacket. Go on. Apart from the excellent previews here on @thegolffamily, you’ll read tens of articles on the one event that towers over any in terms of historical trends – and I’m not about to argue with any of them. Any perusal of the stats and profiles of winners comes up with the same conclusion and it’s a matter of interpreting them one way or another, but even looking at them in the most obtuse fashion, the same players come up again and again. Splitting the top ten or so in terms of winning, or at least contending, is too tough for me and whilst my own preference is for Bubba Watson to prove just too inventive for the rest, it is impossible to deny the claims of those around him in the market. Top of my list is the improving Kiradech Aphibarnrat, who has risen 85 places on the world rankings from 2014-2017 and has taken a further leap up to 29th after making the quarter-finals of the WGC Matchplay at the end of March. Just looking at his more recent form, the 29-year-old finished 6th in Turkey to Justin Rose (joint-leader into Sunday), runner-up to Jon Rahm at the DP Championship, 5th to Rose (again) in Indonesia and 5th to Mickelson and Thomas in the WGC Mexico, all winners being very highly fancied at Augusta this week. That he managed to win a couple of lesser events in between, on his home tour, is a huge indication of his desire to win rather than take a week of publicity for granted and losing to a certain Bubba Watson at the matchplay is certainly no disgrace. Alphie has played round here just once, opening with a pair of 72s before a third round 77 derailed any notion of a top finish. However, a final round 70 saw him finish a hugely respectable 15th and he is a far better player these days. I’m convincing myself here that he can play even better than I thought 20 minutes ago but his relevent stats are absolutely fine for this test and just conclude that he looks under-rated and over-priced at 4-1. There was a bit of a gamble on Russell Henley last week at his favoured Houston Open and whilst his running-on 65 will not have pleased his backers, that flying finish in 8th place once again confirms him as one of those players that turns up at the same gaff time and time again. 15th at Pebble has been his only real highlight of 2018 but there again his quality iron play was in evidence on a Major course (granted it is set up easier for the amateurs) but he clearly takes to this little run of Houston/Augusta having gone 7/31, 4/21, 5/DNP, 1/11 over the last four seasons. There is another little run on him in the outright market but I don’t think he is long enough to compete with the big boys on a Sunday at Augusta, and this seems a much safer and more likely way of being with a player carrying an enviable record every time he tees it up in Georgia. It appears that Daniel Berger has gone a bit quiet. Certainly he was a big noise in weekly previews not that long ago and yet he has done little wrong. In the world top-60 for three years he has dropped slightly from a peak of 19th and 28th at the start of the year but there’s nothing there to worry about, certainly unless he fails to perform at his favoured St.Jude where he will be chasing a hat-trick. The 25-year-old (will be 26 during the event this week) has already recorded five top-15 finishes from eight starts this year including the season openers in Hawaii, the Pheonix, and at WGC Mexico. He left behind an early exit from the matchplay with a closing 68/68 last week to finish 18th in Houston and, for me, he looks one of the most likely candidates from the middle-priced contingent. Certainly, a Masters record of T10/27 is absolutely fine for our wager and given he is yet another to show his hand year-on-year both at the afore-mentioned St.Jude but also in Mexico, he can be relied on to put on his best efforts here this week and continue a fine run. In very similar mode to the previous couple, Ryan Moore is all about accuracy. I’ve never been too big of a fan of the 36-year-old for win purposes as he always seems to make errors when I’m on, but there is no arguing with his Augusta record with 9/12/14/13 his selected best from nine starts that include just a couple of missed-cuts. Lightly-raced this year, he has already put up a top-10 at Riviera (Bubba thrice winner and clearly an indication to this week) and a top-5 in the top-class Arnold Palmer at Bay Hill. He book-ended a pair of 69s with a brace of 74 last year but whilst this is a field of 85, there look to be only half that with any sort of chance of challenging and Moore’s record suggests this target is well within reach. Ian James Poulter. A name that prompts either admiration or the complete opposite and yet one with a very impressive Augusta record whichever way you look. Anyone watching the stunning climax to the Houston Open a couple of days ago will have been reminded of peak IJP at the Ryder Cup and he is exactly the type to use that adrenaline to perform this week. Forget 2016 when there were personal and health issues and concentrate on his good form in quality events just a year later. Top-15 in Dubai, runner-up at The Players, 9/14 in the Scottish and The Open, 11th at the British Masters and top-20 at the Nedbank may not be Poulter at his very peak but were enough to raise him from nowhere to 54th on the OWGR. 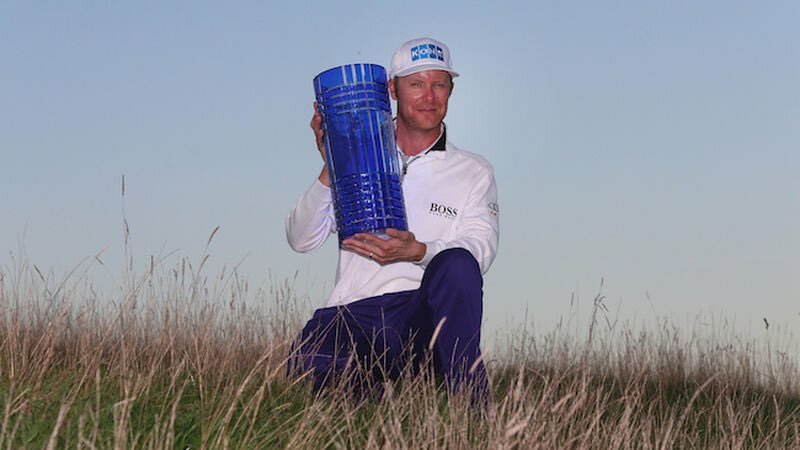 Whilst a good run at the WGC matchplay was no shock given his brilliant record in such events, the effort last weekend was one of pure drama, grit and talent. Needing to win is one thing, shooting 64/65/67 and making a must-putt on the 72nd green has to go down as one of the performances of the past few years. Of course it is entirely possible he has a come-down this week and under-performs, but with an Augusta record that has just one missed-cut from twelve outings and best efforts of 6/20/7/27/10/20/25/13/33/31 he simply has to be a pick if only as he will try for every single hole, something I am not sure a few of these do when the event is out of their grasp. So, five bets for a place on the first two pages of the leaderboard. Of course, it is entirely possible to get multiple payouts and here’s hoping we grab the lot but a much more relaxed way of getting a semblance of value into what looks one of the tightest, classiest and most anticipated golf events for years.